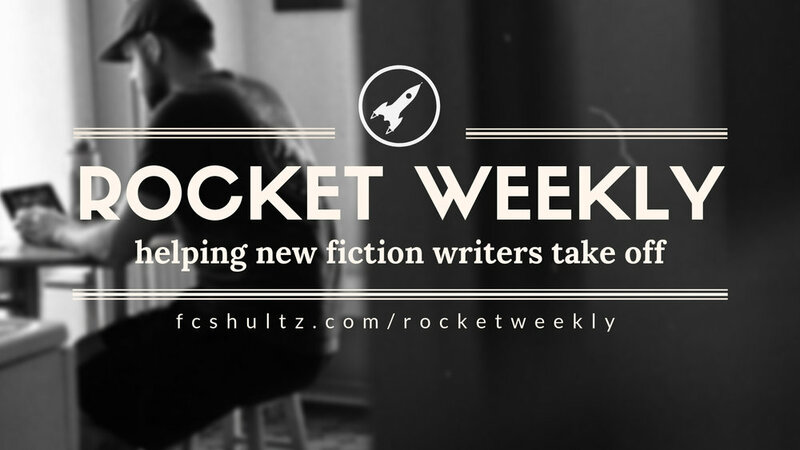 Welcome to Rocket Weekly, a weekly blog for new fiction writers. My name is F.C. Shultz and I love good stories. I’ve published two short novels and a handful of stories (Every Day Fiction, Of Gods and Globes Anthology), and I love talking about writing. If any of these topics look interesting to you, you can sign up here to get new posts delivered to your inbox first thing on Monday mornings to help you launch your writing week. I’m excited to dive in and talk about topics that are interesting to fiction authors. If there’s anything I can do for you, please don’t hesitate to reach out. I reply to all emails. Looking forward to talking with you. P.S. Here’s the first post if you’re ready to jump in!